Whilst some claim that these good intentions don’t work, it’s hard to argue that an ambition to get fit, eat well or start a new initiative isn’t a positive way to start the year. New Year resolutions may not always last, but at least people acknowledge that there may be room for improvement in their lives. 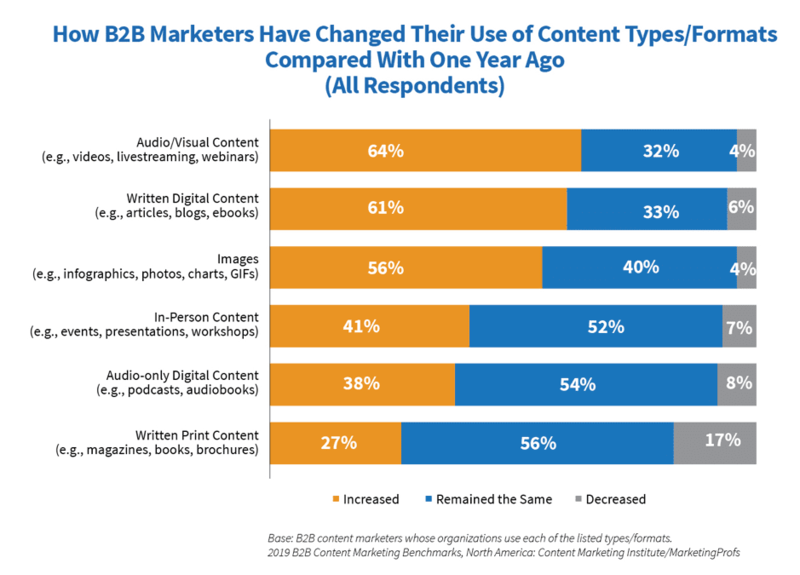 However, since moving back into the world of B2B, I noticed some differences between B2C and how trends and areas of focus differ for businesses marketing to other businesses. B2C marketing is generally faster-paced and often leans more toward above-the-line activity to build reach and awareness. But what B2B lacks in pace, it more than makes up for in complexity, with longer sales cycles, higher average costs and a greater emphasis on building long-term relationships with customers. With this mix in mind, I thought I’d propose some New Year resolutions business marketers should consider for the year ahead. These are not necessarily based on trends or predictions, but areas of marketing based on my own experience that I believe B2B businesses could work on to gain a competitive advantage. Our guide is packed with practical, actionable, step-by-step guidance so you can join thousands of others and create a marketing strategy that works. Whether you’re working with a creative, media, digital or full-service marketing agency, the quality of brief and guidance you provide has a direct impact on the quality of output they subsequently deliver. If you’re working with a range of different agencies, managing the relationship between each of them becomes increasingly important to ensure you have a joined up, integrated approach. For big campaigns and projects, briefing as a group has some notable advantages. I would encourage B2B companies to take a little extra time when crafting a new marketing brief. Whilst an agency will often do as much thinking as possible, the client should always ‘own’ the strategy. Be clear on the roadblocks to success and articulate the communication task. One of the immediate differences I noticed when moving back into the B2B space was the quality and consistency of digital content, across paid, owned and earned media. Within B2C, and consumer goods, in particular, there is very high competition to stand out and make an impact quickly with key consumer groups. Marketing to such large target audiences comes with the added pressure to continually innovate and capitalize on the latest trends and best practices to gain an advantage. It’s fair to say that the same pressures to generate high-quality content do not always apply within B2B. Whilst there are brands producing really stand out content, my experience is that there tends to be a higher tolerance for content that is ‘good enough’. 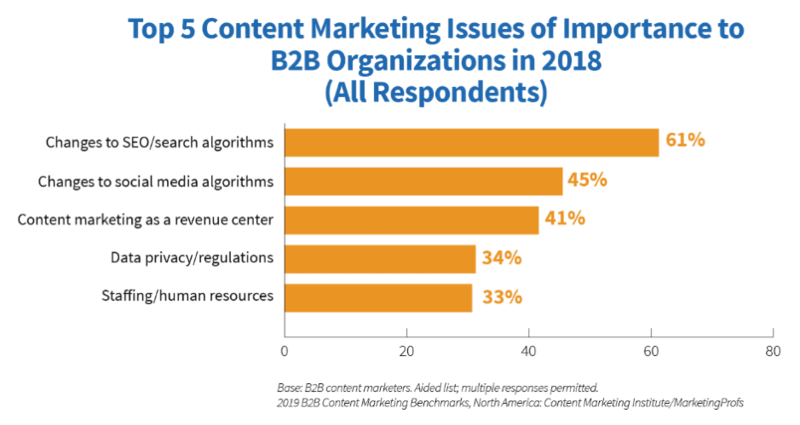 However, there are positive signs that B2B marketers are testing, learning and experimenting with different types of content, as shown in research from the Content Marketing Institute. Moving into 2019, marketers should continue to experiment with different content types and formats based on their own objectives and target audience demographics and preferences. There will inevitably be some failures, but the key is to perform small, manageable trials to unearth new opportunities and ideas that can then be rolled out at a larger scale at a later stage. ZipRecruiter, for example, has found success with podcasting. Their Rise and Grind show is targeted at entrepreneurs looking to take their fledgling businesses forward. Each episode is formatted as an interview asking different entrepreneurs about their own approach and personal ‘grind’. The concept is a natural fit for the brand and offers a new and different way of connecting with their target audience. 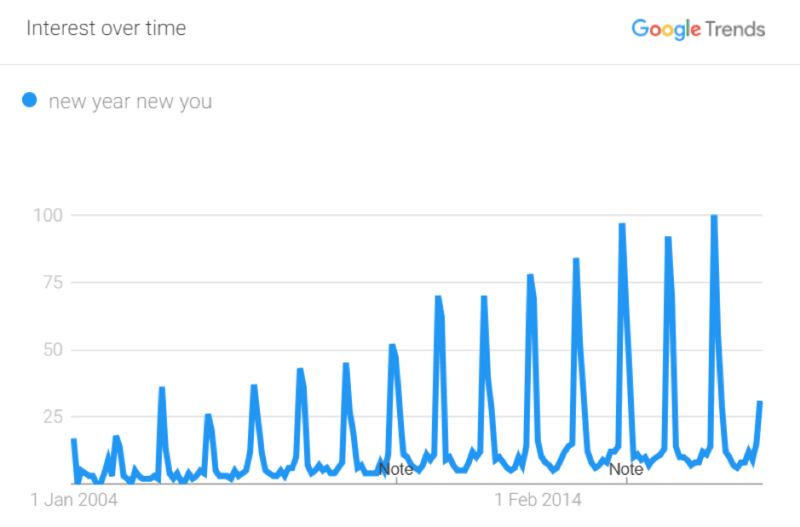 I appreciate that SEO may not be the most innovative suggestion for a New Year resolution, but I believe there is a big opportunity to take advantage of more sophisticated SEO in 2019. Similar to my point about content above, the reduced competition and more complex sales cycles mean that B2B companies, particularly larger brands, prioritize a more traditional approach to building awareness and generating leads, such as networking, word-of-mouth and inside sales. However, a high percentage of B2B researchers use the internet during the B2B research process and make an average of 12 searches before engaging with a brand. Customers and prospects are asking questions and looking for answers in organic search, so the opportunity is there for the taking. It appears this is something B2B marketers are looking to address. 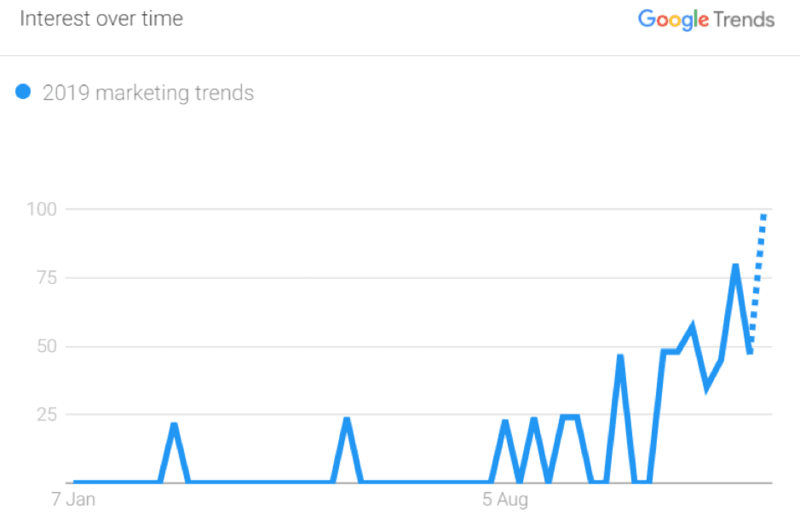 In the same research from the Content Marketing Institute referenced above, changes to SEO/ search algorithms was a big issue that marketers are looking to address. As Dave mentioned in his digital trends briefing, the organic search update to watch out for next year is Google’s Speed Update, designed to penalize slower sites. According to some surveys, nearly half of web users expect a site to load in two seconds or less and tend to abandon a site that isn’t loaded within three seconds. While this will initially affect only the slowest sites, this may become an increasingly important ranking signal and something B2B marketers should factor into their website and content updates. 2019 will be another big year for marketing and more specifically, I believe there will be many new and exciting opportunities for B2B marketers. Although there will always be lots of shiny new trends and innovations, getting the basics right and exhausting tried and trusted strategies should be the first port of call. The ideas I’ve outlined here are just three of a wide selection I could have chosen. For example, user experience, conversion rate optimization (CRO) and stronger alignment between sales and marketing are some of the other areas B2B marketers should also be working to improve. Just as people plan to get fit and learn new skills at the start of every year, businesses should do the same and look closely at what matters most to them and ultimately generate the best results.